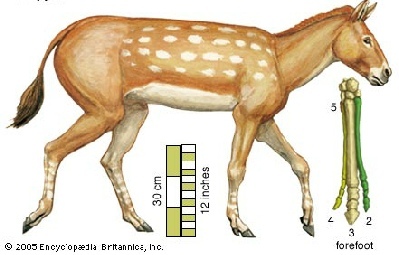 60 million years ago there was an animal called Eohippus, and it stood 0.4 meters tall. 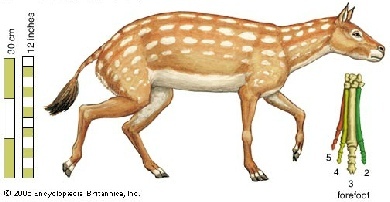 40 million years ago the Mesohippus arose. It stood 0.6 meters tall. 30 million years ago the Merychippus arose. It stood 1 meters tall. 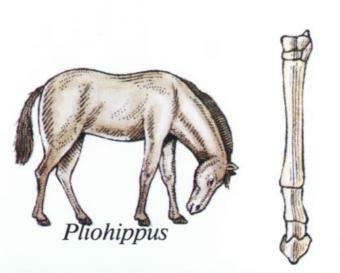 10 million years ago the Pliohippus arose. It stood 1 meters tall. 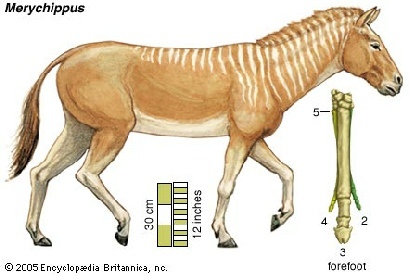 1 million years ago arose the modern horse. Standing at 1.6 meters tall. Over 60 million years of evolution has turn a dog size creature, that was adapted to living in the rain forest into the 2 meter horse you know today, capable of living on plains.